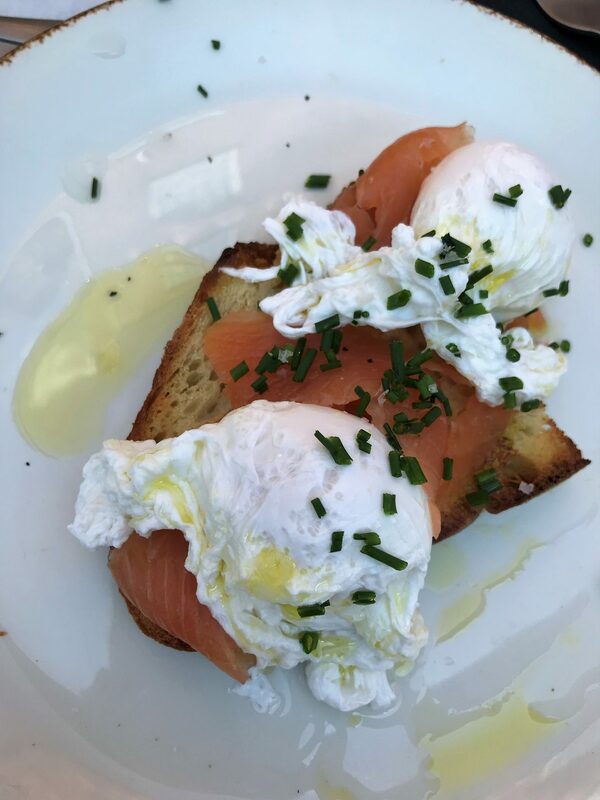 Lets admit it: brunch has got to be one of the best meals of the day, correct? 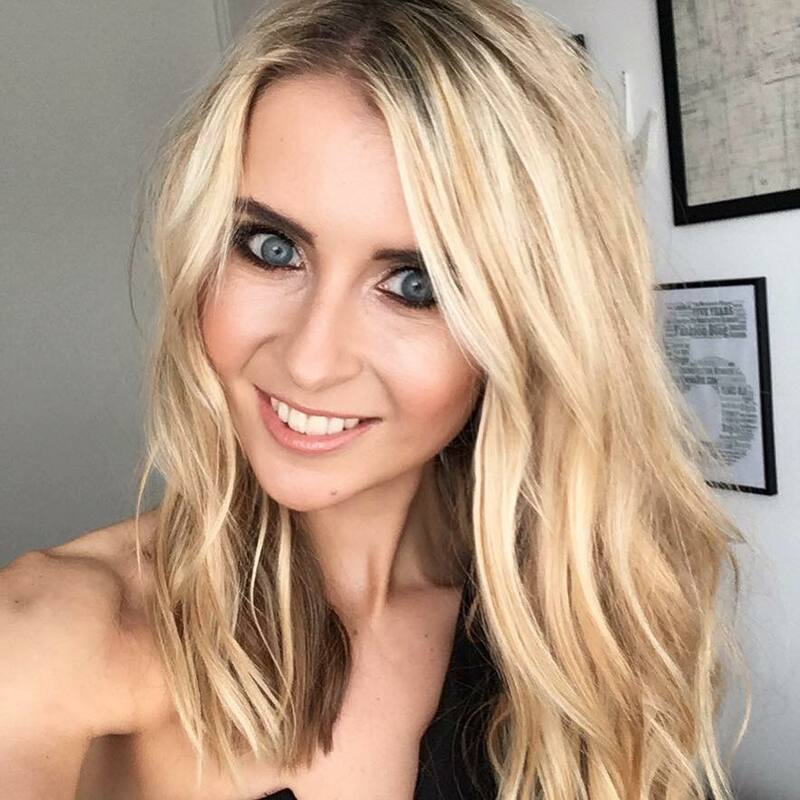 I definitely think it is, however I’m shocked at how little I actually go out for brunch. 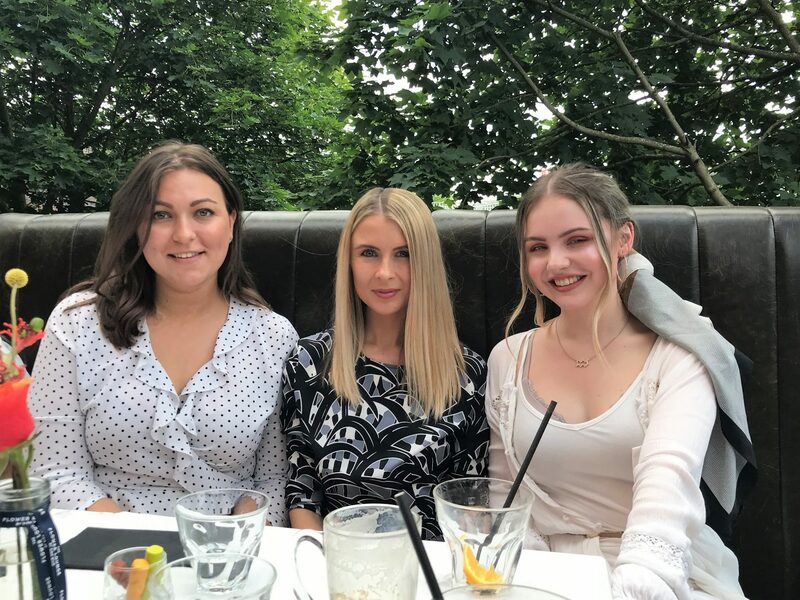 It’s such a nice time to eat – splat bang in the middle of breakfast and lunch – and the perfect excuse to gather the girls on a Sunday and head out for some delicious food. 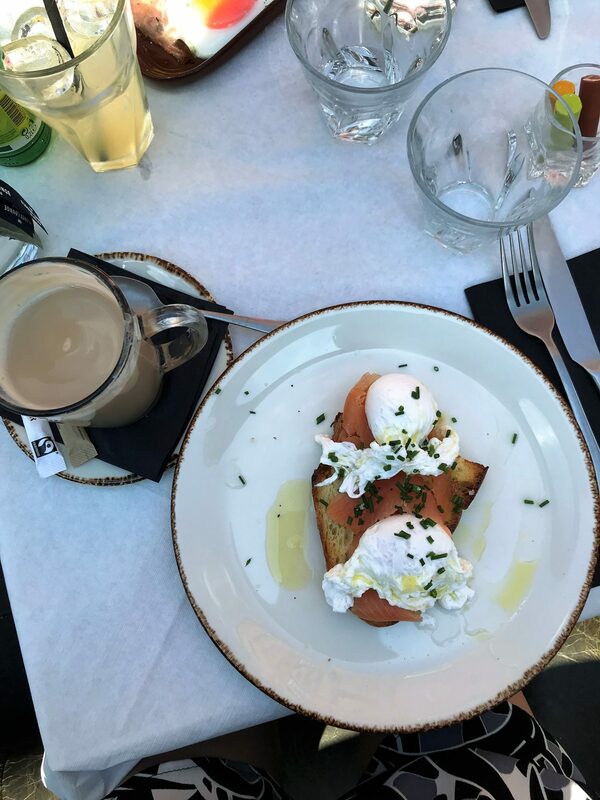 Every where is offering it these days (well, pretty much, it’s definitely becoming a thing in and around Manchester), so I really need to start making more effort to indulge in brunch! 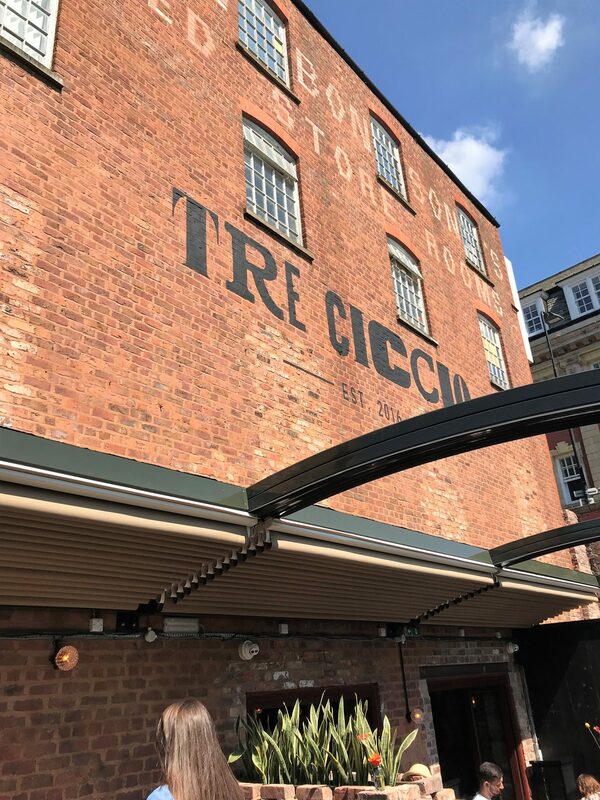 My latest venture out for brunch was to Tre Ciccio in Altrincham, sort of half Manchester, half Cheshire. 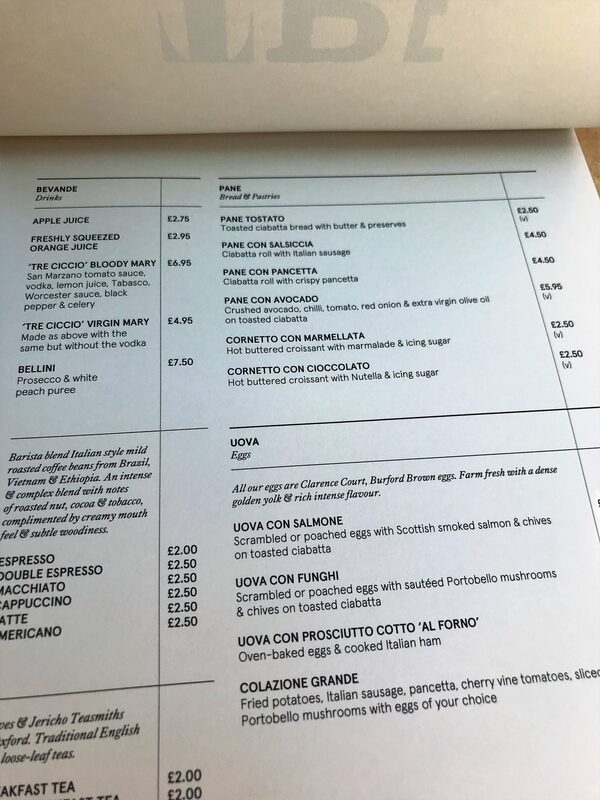 This authentic Italian eatery came onto the Altrincham scene in 2016, and I’ve seen some fantastic reviews of this place for it’s homemade pizzas and pasta dishes. 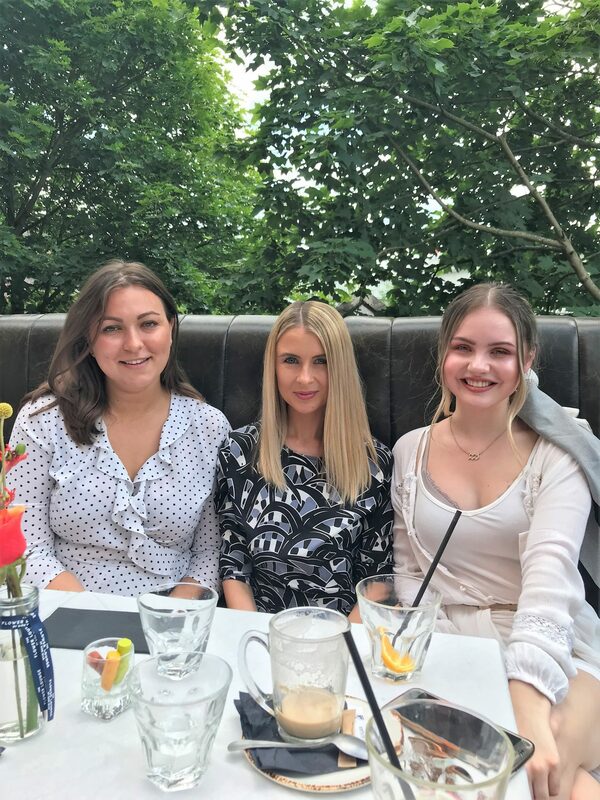 And now, it has a brand new outdoor terrace, which we were in luck on the Sunday we all headed here for a blogger brunch, as it was scorching hot! 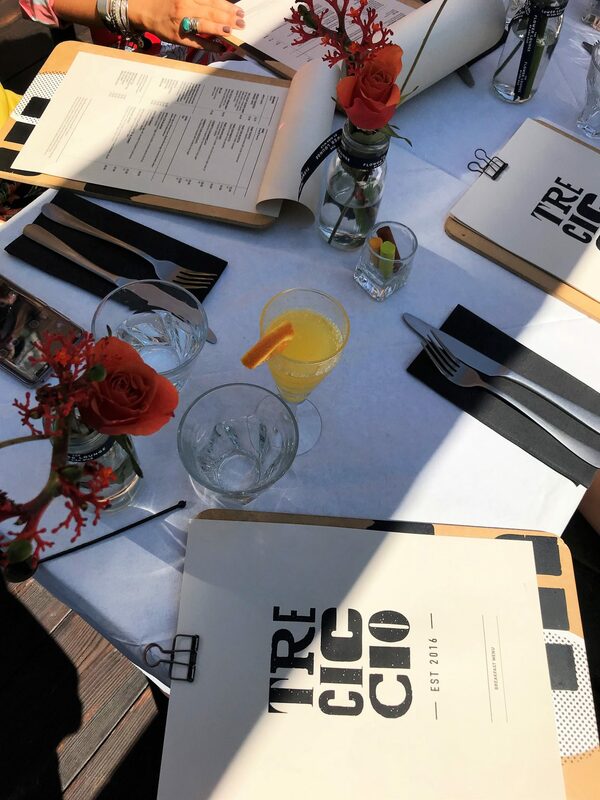 So of course we all lined the tables outside and browsed the brunch menu in the sun. I ordered a Bucks Fizz, mainly because I love them a little too much, and it’s also a traditional brunch drink. 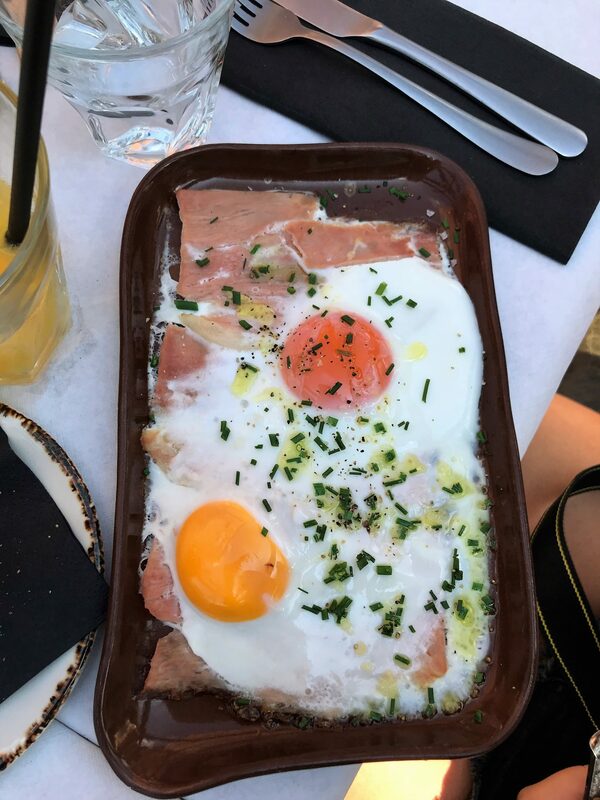 As you can see from the menu photo above, it helps if you like eggs. But there are options without eggs, and you can of course order any without them. 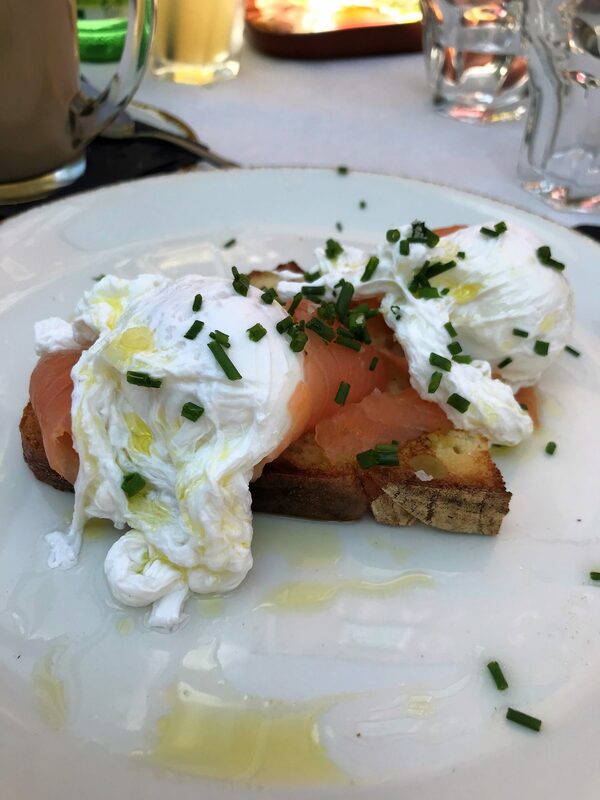 For me, I love a good poached egg, so I was immediately drawn to the Uova Con Salmone – smoked salon with chives and poached eggs loaded onto a toasted ciabatta. 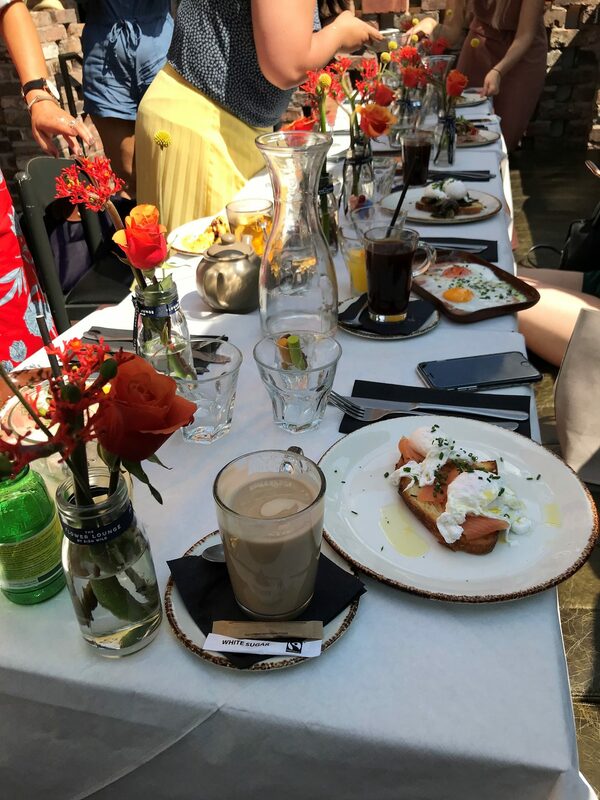 The Over baked eggs and cooked Italian ham looked a really good option too, which was popular amongst some of the other bloggers I brunched with. If you wanted a less carb heavy option, that’s potentially the one. 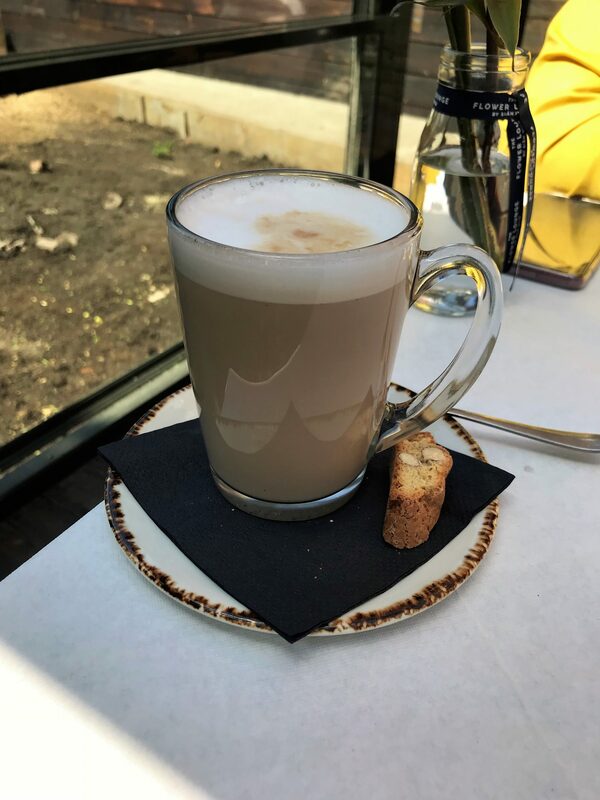 Next time though, I’ve got to go for the Colazione Grande – a combo of fried potatoes, italian sausage, pancetta, cherry vine tomatoes, portobella mushrooms and eggs of your choice. 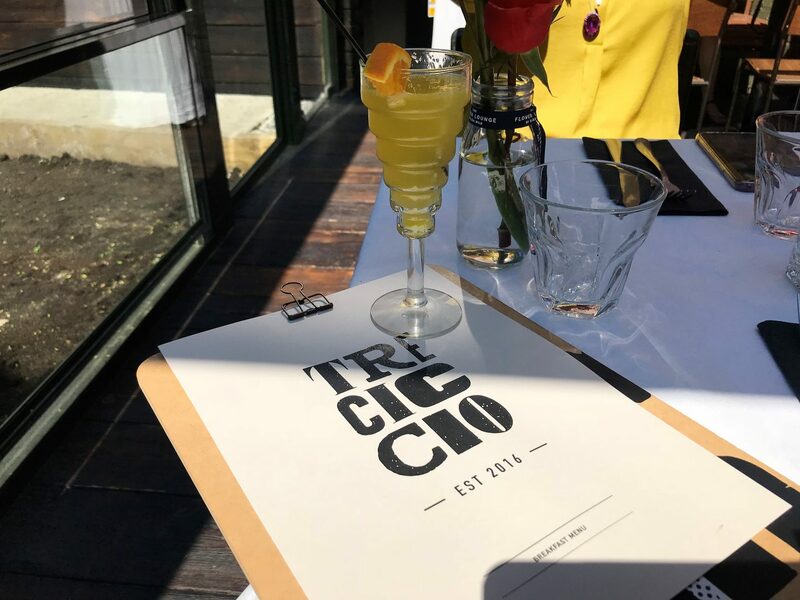 The vibe and ambience at Tre Ciccio is spot on – friendly, warm, and with attentive, Italian staff. Everyone was so helpful, and you can tell the teams that work here are so passionate about the Italian food they produce. 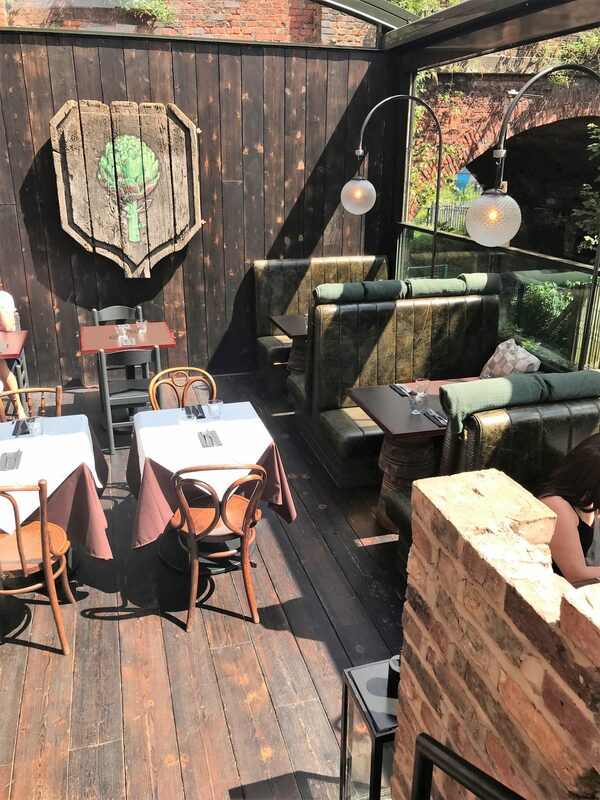 It would make a lovely little restaurant to come to on a date, actually! I’m bookmarking this restaurant to come back to for an evening meal, as I’ve got to try the pizzas and pastas!